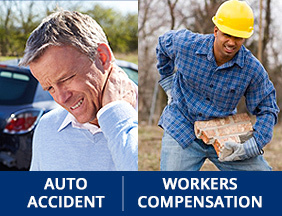 It’s tempting to minimize your own injuries because your car has sustained little or no damage. Research shows that occupants can be injured considerably more than what you’d expect after your car receives a dented fender or a broken taillight. After what you’ve been through, you’ll need a health professional who truly understands soft-tissue injuries, spinal biomechanics and rehabilitation strategies. Whether it was “a little incident” in the parking lot, or two cars attempting to occupy the same space in an intersection, you need people who know how to work with lawyers and insurance companies. If you’ve been in a car accident, give us a call. We’ve been through this many times.